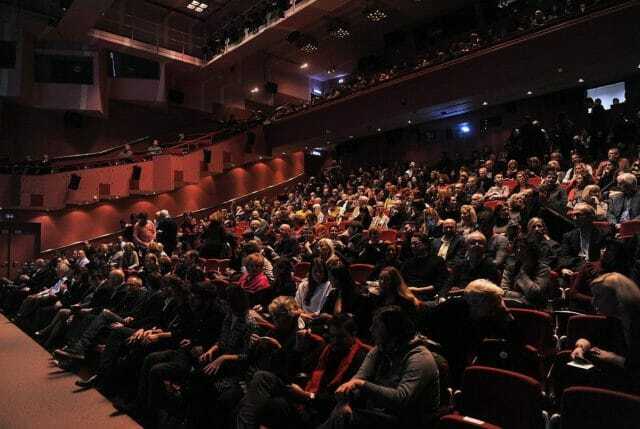 The beloved 29th Ljubljana International Film Festival – LIFFe, will be between 7 November and 18 November 2018 traditionally held also in the halls of Cankarjev dom – Cultural and Congress Centre Ljubljana. Every year, the Ljubljana International Film Festival, better known as LIFFe, adds vibrancy to the city’s autumn cultural life by presenting the best and the latest in European and international film production. This year’s programme was outlined by Festival Director Simon Popek, as well as Uršula Cetinski, Cankarjev dom Director General, and partners. At the press conference in mid October, the CD Director Uršula Cetinski stressed the festival’s favourable attendance figures. Together with the growing number of screenings (from the initial 13 to almost 300 in 2017), the number of viewers ha salso been steadily increasing since 1990 – from 4,000 to 42,000. The 29th Liffee will delight film lovers with its rich and variegated programme, and address cinematic issues from different viewpoints in its varied accompanying programme. Festival sections include Perspectives, the official competitive section of young authors competing for the Kingfisher award; Avant-premieres, a selection of the world’s finest films purchased for Slovenian distribution; Kings and Queens, films by notable and award-winning virtuosos of contemporary cinema; World Film Panorama, front-runners of five-continent festivals; Extravaganza, so-called late-night cinema of daring artists addressing idiosyncratic or sensual topics; Europe in Short, competitive programme of short film; and Kinobalon, a selection of films for children aged between 7 and 14. Festival screenings will be accompanied by a programme of talks with festival guests, and filmmakers like film directors and other film artists, round tables, and workshops. Additionally, several awards will be handed out. The main competition strand, Perspectives, will feature films by emerging film directors, who will compete for the Kingfisher (Vodomec) award. Other awards to be handed out include the Fipresci prize, voted for by a panel of judges from the International Federation of Film Critics, the Dragon (Zmaj) audience award, and the Best Short Film Award. Cankarjev dom – Cultural and Congress Centre Ljubljana will host the festival in two of its halls – Linhart Hall and Kosovel Hall, while the central festival venue will be Cankarjev dom’s Foyer II, featuring LIFFe’s press centre, box office, socialising and entertainment premises, and guest chat room.